The Piedmont Public Library is proud to be a County United Way agency. The main purpose of the library is to provide excellent, up to date and free services to the many patrons of Allegany and Mineral Counties. Our main objective is to keep education and learning as a top priority. Without the County United Way, there would be no library because local funding is mandatory to receive funding from the state. We offer the community many wonderful programs, such as, Children's Story Hour and the Summer Reading Program. Some of the services we offer are Inter-Library Loans, Fax & Copy Services, Notary and Wi-Fi Services. Be sure to check our services page for additional information and our calendar for dates, times and additional information on all our events. 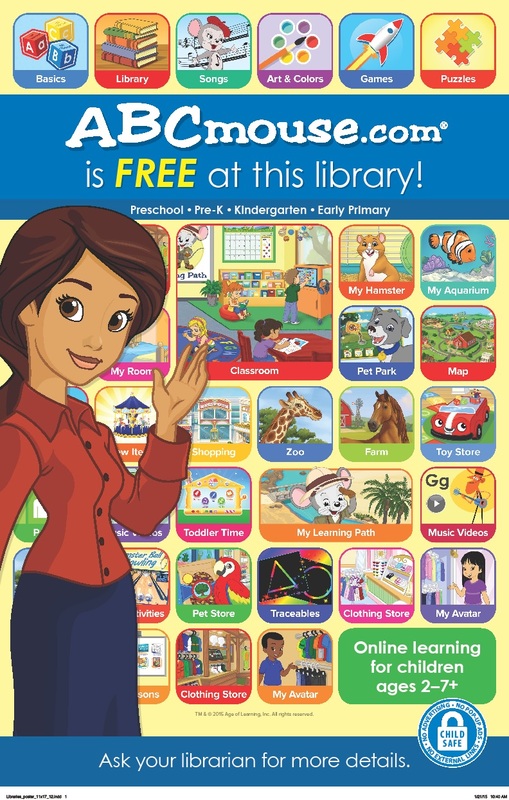 With 3,500+ interactive books, educational games, puzzles and other learning activities, ABCmouse.com's award-winning online curriculum is an invaluable resource for young learners (ages 2-6+). From Age of Learning, Inc. Click HERE to view our poster or ask your librarian for more details! Your personal guide to personal exploration. Whatever your goal, Learning Express Library's resources will help you succeed. Each of our Learning Centers offers the practice tests, exercises, skill-building courses, eBooks, and information you need to achieve the results you want - at school, at work, or in life. Looking to land a job? You'll find an entire Learning Center dedicated to helping you get the one that's right for you.